Settled in 1894 by Nathan Boynton, Boynton Beach originated as a healthful resort in southeast Florida. Boynton's main each, Oceanfront Park is manned by trained and experienced lifeguards from 9:00 a.m. to 5:15 p.m.. Clean and well-maintained with separate barbecue and picnic area, concessions and rest rooms (unlike Palm Beach). Open seven days a week with certified lifeguards on duty all year round. This community is popular with retirees as well as younger people. The city includes sections that are on the barrier island and the connecting mainland to the east. The community manages to retain some of the old Florida charm. The friendly city is warm in the winter. 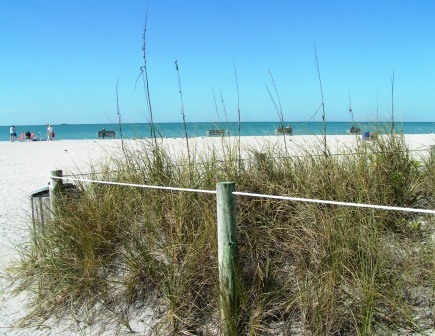 The city’s many public beaches and parks provide a superb entertainment option. Proximity to the attractions of Fort Lauderdale and Miami give ready access to culture, big-time shopping, and major league sporting events. There is one municipal golf course in town. Although is it decidedly downscale compared to its well-heeled neighbors like Delray Beach and Palm Beach, the community offers a better value for many of the same services. Active adults will love living in Boynton Beach Beach, where it is possible to live near the water – either the beach or the intracoastal. There is a tremedous selection of communities and neighborhoods to choose from (see Active Communities link at right). There are apartments near the ocean as well as single family homes. Real estate prices in the area tend to be lower than in some nearby coastal communities. Zillow.com reported the median home value to be $250,500 in early 2019. 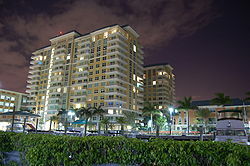 Boynton Beach is on the southeast coast of Florida, about 50 miles north of Miami. It is flat with the Atlantic Ocean on the East. The Art Center features adult evening classes are available on Monday and Wednesday from 6:30 until 9 p.m. and on Saturdays from 9:30 - 11:30 a.m. The Civic Center and the Hester Center provides many programs and entertainments for adults and citizens of all ages. The Boynton Beach Arts Commission is active as well. The public library is downtown. Nearby Delray Beach, Fort Lauderdale, Palm Beach, and Miami have much to offer culturally just a short drive away. Crime in Boynton Beach is a little over a third the national average. The Bethesda Memorial Hospital is in town. Boynton Beach Memorial Hospital is located just a few miles away, as is the JFK Medical Hospital (Atlantis). Several railroads pass through Boynton Beach, with the nearest Amtrak passenger service in nearby Delray Beach. Tri-Rail provides commuter service from Palm Beach County, through Broward County/Boynton Beach, and into Miami-Dade County. Boynton Beach is not a walkable town and is considered car dependent.